Summer sun and the humidity has won....it's braid season! When the heat and humidity ramp up it is not fun trying to manage a frizzy mess of hair. 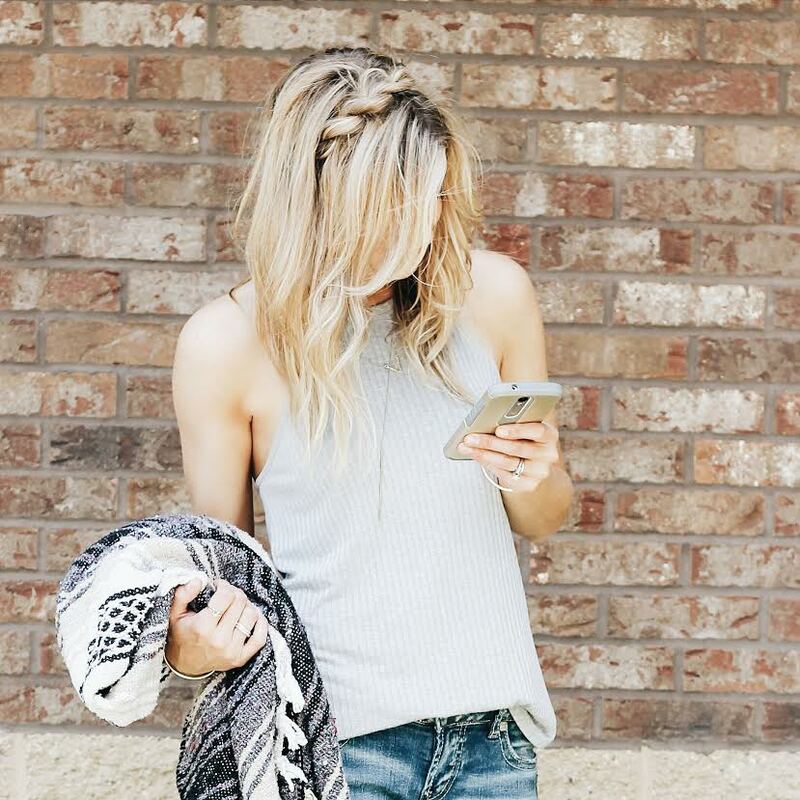 We are on the go all summer long and braids are the perfect solution for a chic summer look. 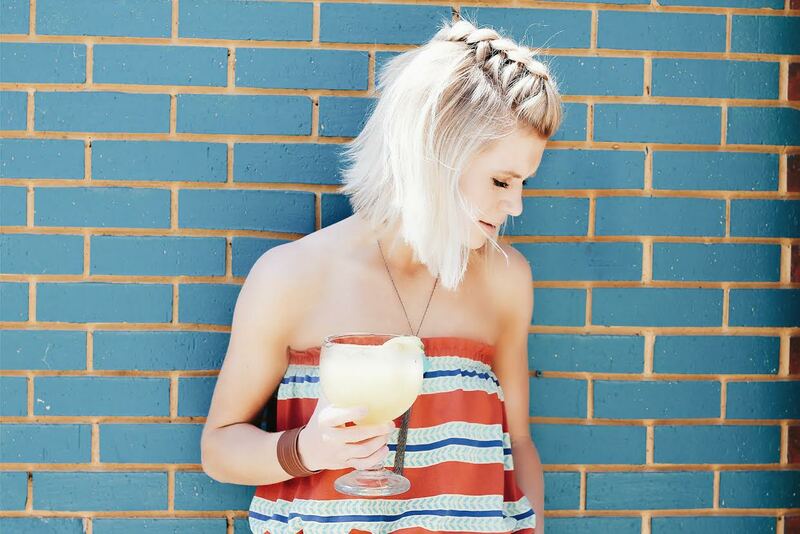 We are sharing our favorite braids of summer done by our dear friend Jill Swanstrom at Studio C Salon. 1. 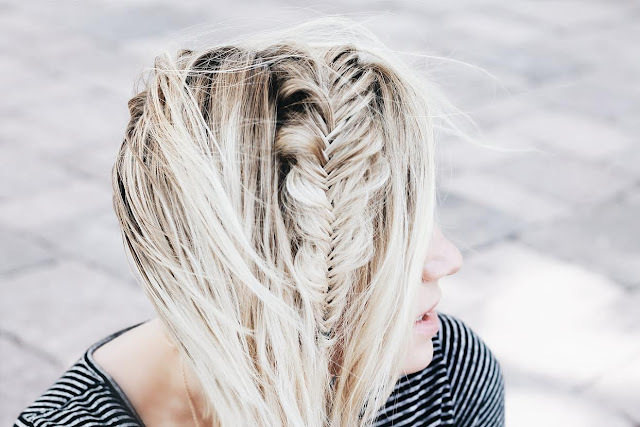 Fishtail Braid- Who doesn't love a fishtail braid! A super easy and fun twist on the traditional braid. It is great for short hair or long, small braids or big, many fishy braids or just one. Thank goodness for sites like Pinterest who give you all kinds of ways to creatively do up a fishtail. You don't know how to do a fishtail you say?....well Pinterest can help you there too! Here is and easy tutorial we found on "How to do a Fishtail Braid"
2. 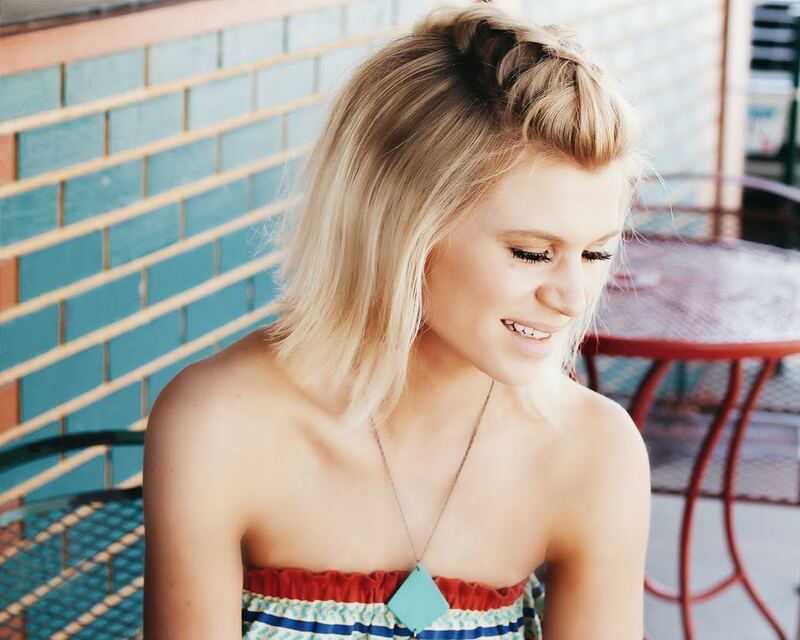 Faux Hawk Braid- We love the look a faux hawk when done right! Such a chic, yet edgy way to change up your look for summer. Whether you are out for drinks with the girls or heading to the beach to soak up the sun, this a perfect way to spice up your everyday do! We found a great video from Twist Me Pretty on "How to do up the perfect faux hawk"! 3. Dutch Braid- Big beautiful braids are in! The Dutch braid is one that looks difficult to do but is fairly simple. It is basically an in-side-out French braid, instead of pulling the strands over you pull them under. Check out our previous post of "How to dutch braid" and these fun tutorials of "Different ways to Dutch Braid"
Also, try adding a headband for a different look to your braid. We love these headbands from Little J Headbands!! Weave pieces of hair through the headband to make it look like another braid itself or wear it across your forehead to give it that boho vibe. For every Little J Headband purchase they give back! 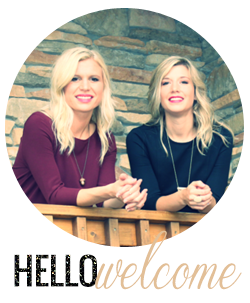 Check out their story on their website along with "how to's" on different ways to wear your Little J Headband! 4. 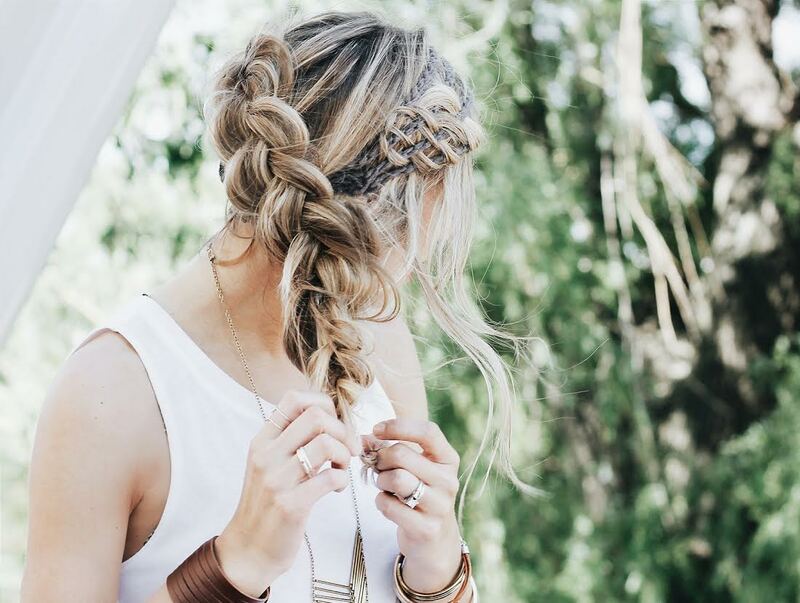 Rope Braid- One of our new favorite summer looks is a rope braided crown. It gives it that laid back, but still put together kind of look. It may look complicated, but it is probably one of the easiest braids yet. Here is a step by step on a "braided crown" . Thanks again to Jill for the great new summer braids! These will definitely give you that chic summer look. Happy braiding!! There is no doubt we love this lady! 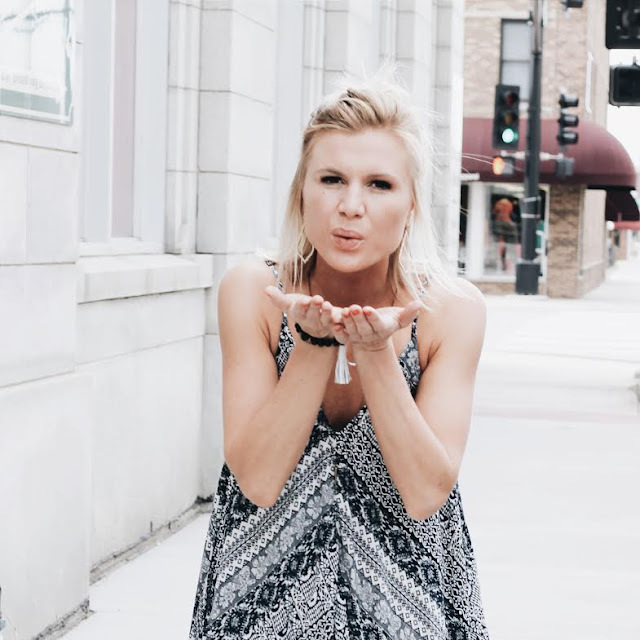 Kelsey is one that we have been able to get to know over the last several months as she took us along on her journey as a Life Coach. 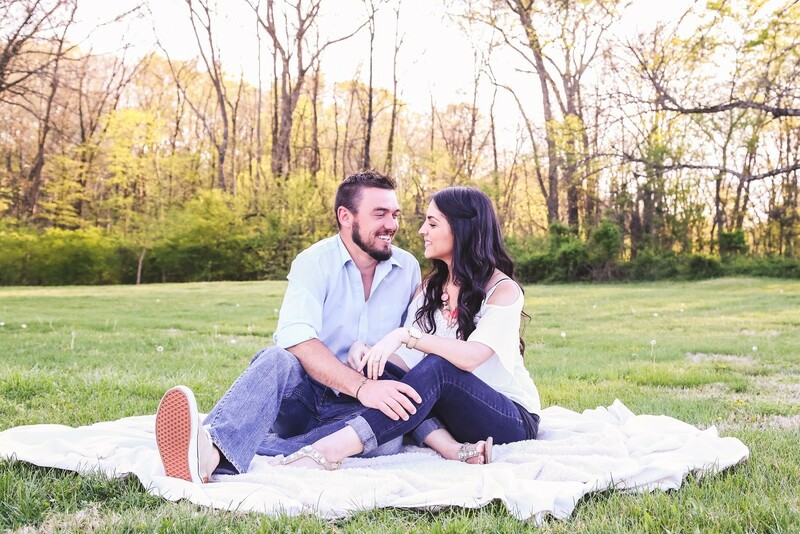 We both went through her 6 week program and learned so much about ourselves and our passions in life. It was such a great way to reset and refocus as we transition in to new seasons of life. Kelsey is as beautiful on the inside as she is on the outside. She has a gift for helping people find their truth potential and to be able to find what truly makes them happy. 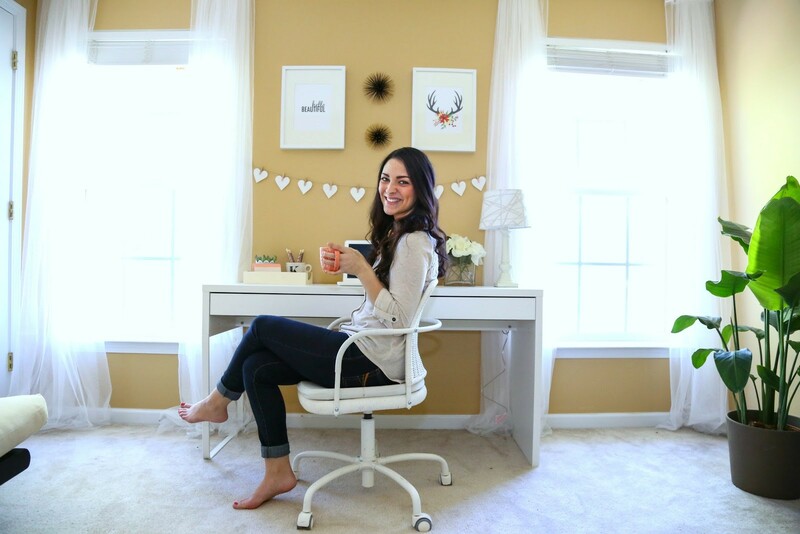 We are so excited to share her inspiring story along her journey as a mother of 4, wife, blogger, and Life Coach. Well, I am 26 years old and married the love of my life when I was just 19 years old. We have four beautiful daughters and live in North Carolina, right between the beach and the mountains! I am a total homebody and love a good Netflix couch date with my hubby, eating seafood or sushi with some good wine, and I’m completely obsessed with The Bachelor, chocolate cake, getting lost in a good book and taking naps. I stay home to run my household and homeschool my babies, but decided to mix things up a bit this past year! Now in addition to being a stay-at-home mama I also run a lifestyle blog called The Home Loving Wife and I’m a Lifestyle & Clarity Coach for wives and moms! There is never a dull moment around here, and I wouldn’t have it any other way. I am extremely passionate about living life with purposeful intention and not squandering the gifts and blessings we’ve been given! I believe each of us has a unique calling that we were created to allow God to fulfill in our lives. But sometimes, living that out on a daily basis or even figuring out what it is can be really challenging! That’s where my gift comes in - I love helping women, wives and moms especially, discover exactly who they were created to be, what they were created to do and how to achieve all they desire in life while balancing being a wife, mom and running a household. What exactly do you do as a Lifestyle & Clarity Coach? As a Lifestyle & Clarity Coach for wives and moms my aim is to help them thrive in every aspect of their lives and roles. I work with women 1:1, in groups, via phone, Skype or email to uncover what their core values and priorities are, what is preventing them from living in alignment with those values and priorities and to create an action plan to overcome the obstacles they’re facing in their lives! We look at their entire lifestyle as a whole and address any issues that are presenting challenges, whether it’s family relationships, health and wellness, household management, etc. I don’t believe in a one size fits all approach because I believe that every woman and her circumstances are different! 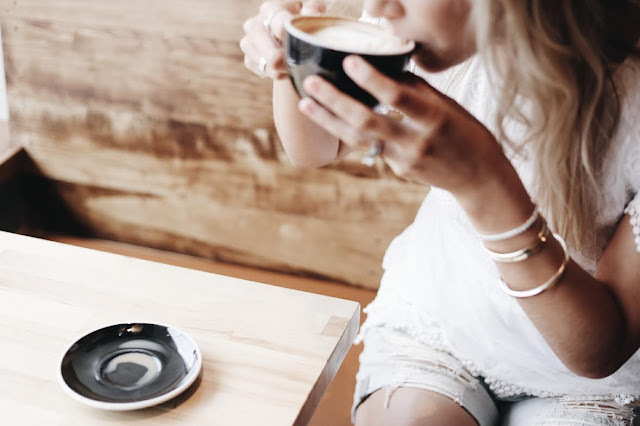 One woman may need to really focus on some mindset-shifting work in order to become more confident in who she is, whereas another may just really need some help with time management and coming up with more efficient strategies for running her household. Both are things I can provide as a Lifestyle & Clarity Coach! How does lifestyle and clarity coaching benefit someone? Every single one of the wives and moms I’ve worked with are tremendously amazing women, and all very unique with very different lives. But there are so many similarities among them, the biggest being an undercurrent of feeling constantly overwhelmed and like they aren’t balancing things as well as they could be. Many of them feel “stuck” and like they know what they should be doing, but they can’t quite figure out how to start doing it. The benefit to working with me is that I help cut through your mental clutter and fog, gently guiding you to come up with an action plan and solutions that are right for YOU, and then support you through implementing them. As a result, you gain confidence in your decision-making and direction in life and begin to feel fulfilled in the life you’re living, right where you’re at! What led you to start your coaching business? 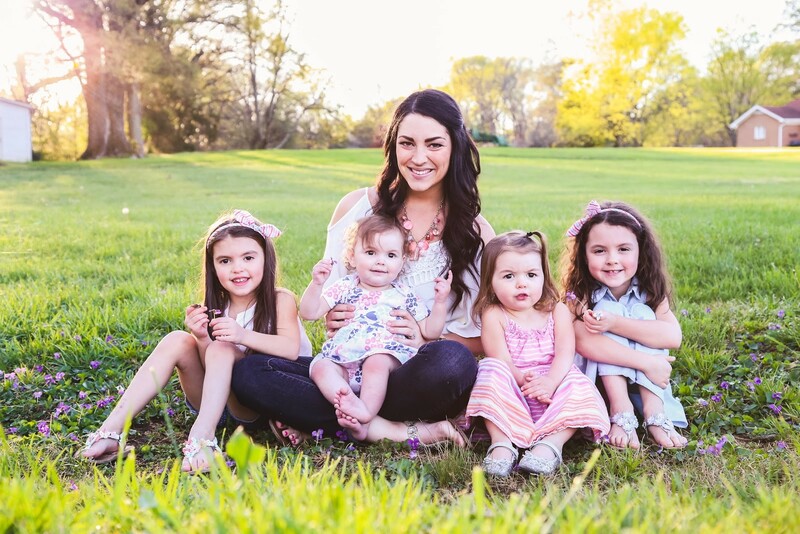 Over the last seven years I’ve learned a LOT through becoming a wife and mama to four little girls. 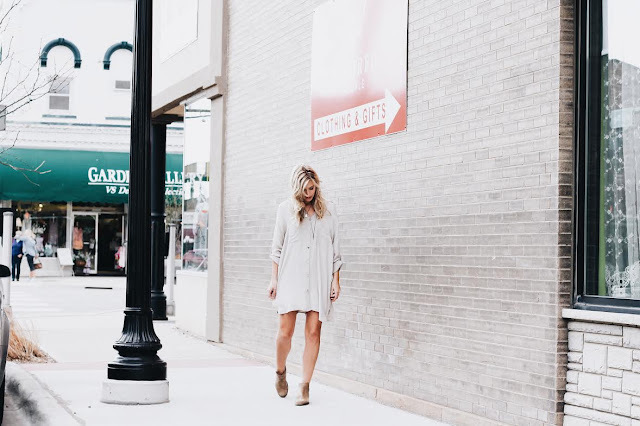 I know how crazy things can get and what it’s like to feel like you’re drowning as you wade through the trenches of marriage, motherhood and everything that goes along with it. I’m still a daily work in progress (as we all are!) 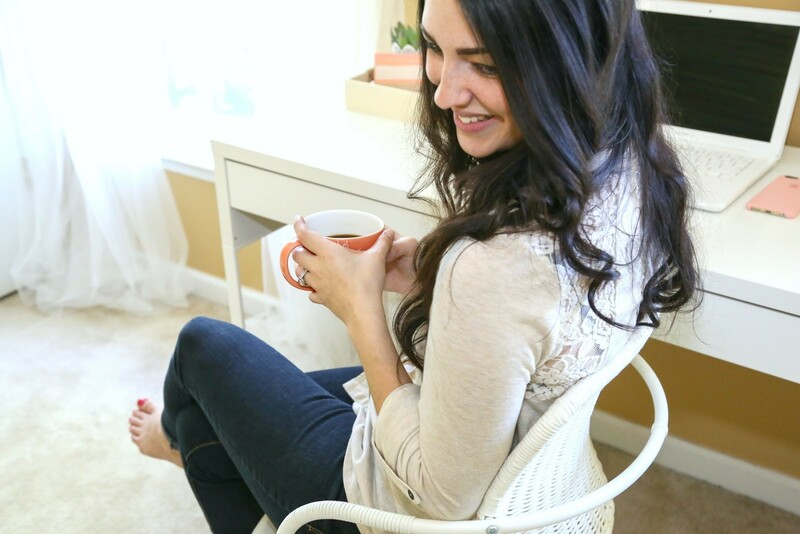 but through the years I’ve learned and developed some effective strategies for running a thriving household, living in a manner that reflects who you really are and what is most important to you. 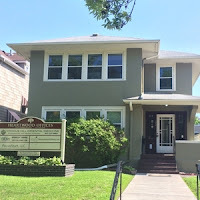 I passionately believe that “a life well-lived begins at home” and that, when things are out of whack in our heads, hearts or homes, every aspect of our lives is negatively affected. I want women to know there IS a better way and all it takes to get there is some purpose-driven intention, a little honest soul-searching and a whole lot of support, guidance and encouragement along the way! This belief is what led me to step out in faith and pursue launching my coaching business, investing into the lives of other wives and mamas as they nurture their families, while still being able to stay home to care for and nurture my own! What has been the best part of your journey so far? I have honestly been blown away time and time again by the amazingly supportive tribe of women I’ve connected with throughout the last several months of this journey. Every. Single. day. I’m blessed in unexpected ways by the friendships that I’ve developed through simply pursuing a passion and aiming to give back to the same incredible women who are blessing and inspiring me! I’m not Superwoman or a magic genie, I don’t have all the answers and I don’t by any stretch of the imagination live a “perfect” life. 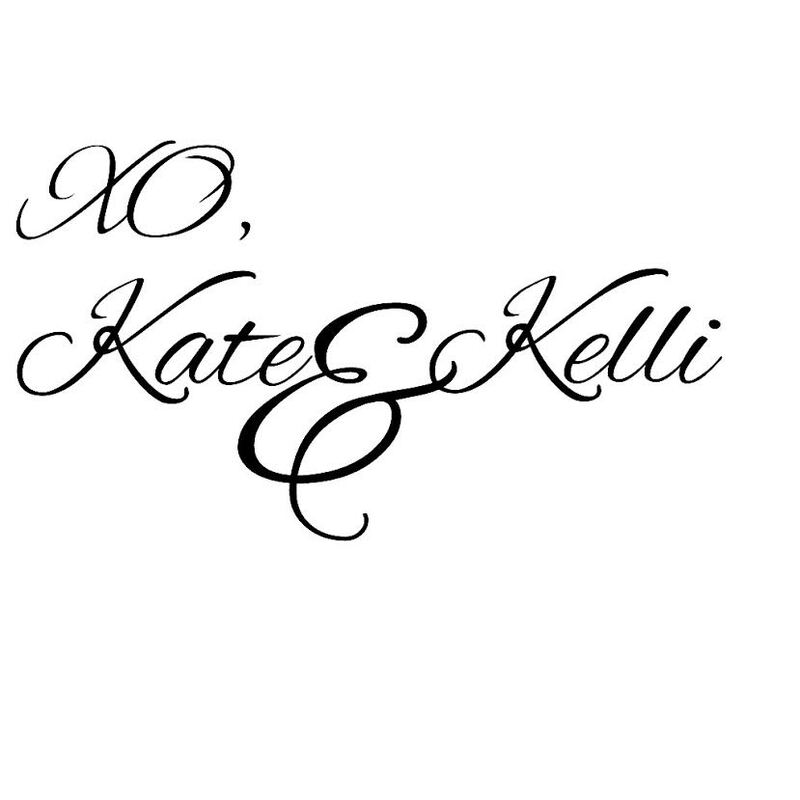 Often I have women come to me asking, “How do you do it all Kelsey?! You make it look so easy!” to which I nearly always laugh in response! Because truly, I’m a work in progress just like you. I just take things one step and one day at a time, while subsiding on a heavy diet of God’s grace and unfailing strength to get me through! I have good days and challenging days, just like you. Sometimes I yell at my kids or have meltdowns or burn the toast, just like YOU! It’s not about being perfect, or becoming more perfect. It’s about embracing who you are and acknowledging who God is. It’s about being purposeful, with fearless abandon, to steward your time, talents and resources well in order to live a life that you passionately love, while remembering to walk in grace all along the way. This week I’m SO excited to announce the launch of my brand new signature coaching program, Project Reset! 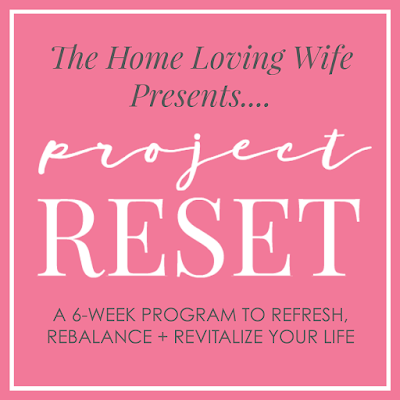 This 6-week program was designed to help wives and moms refresh, rebalance and revitalize their lives, taking them from feeling overwhelmed and lacking clear direction, to feeling confident in their life mission, focus and ability to begin creating a better future for themselves and their families! 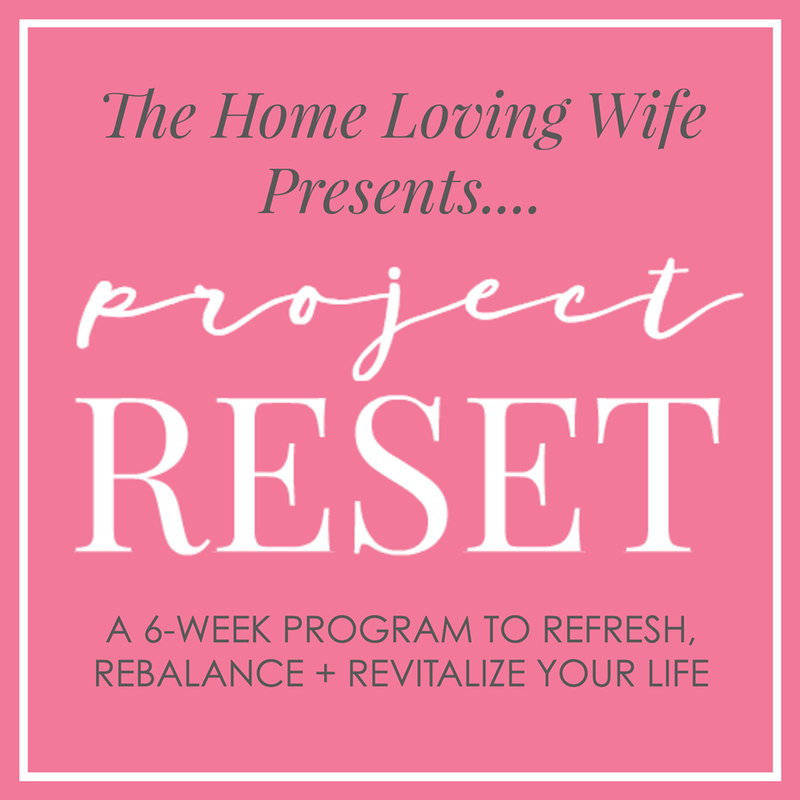 If you think you, or someone you know would benefit from practical help, guidance or encouragement in your journey as a wife and mama seeking to live a grace-filled life of balance, purpose, happiness and fulfillment, I’d love to set up a complimentary 15-minute clarity call to see if Project Reset might be a good fit! You can also visit HERE for more information on the other coaching services I offer. 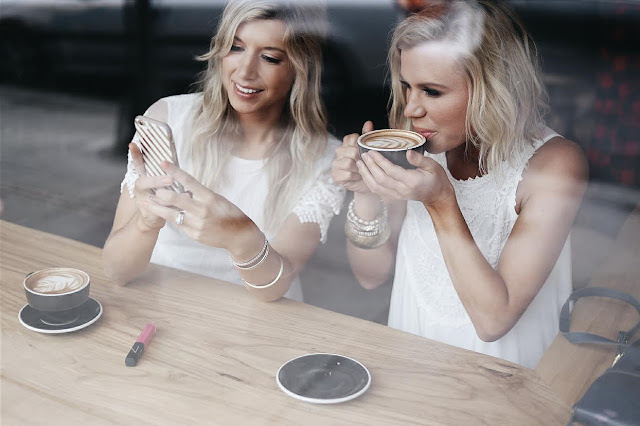 I’d also love to extend the invitation to you to join my fabulous FREE Sisterhood of wives and mamas who are truly AMAZING at supporting, encouraging and cheering each other on as we all pursue rocking things out in our lives as wives and moms! We walk through the highs and lows together, sharing our trials and triumphs, resources and lots of virtual hugs! Visit HERE to request your invitation to join our community - we’re saving a seat with YOUR name on it, and want you to know #youcansitwithus! 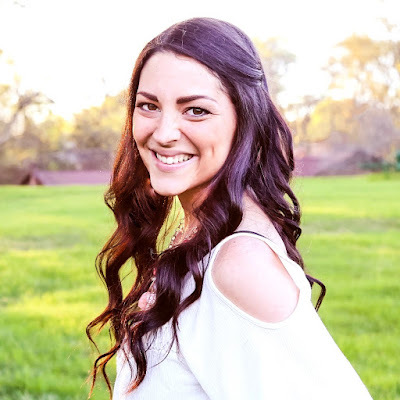 You can connect with Kelsey further on Facebook, Instagram, Twitter and Pinterest, so go say hi and introduce yourself! We were so excited to partner up with The Glow Lounge for this shoot. We started off the weekend with a our heated airbrush tans at The Glow Lounge in Edina, MN. Going in with a little bit of nerves being that we hadn't had an actual airbrush tan before. The last time we both had a spray tan it was like an episode of Friends when Ross went into the booth...makes us laugh out loud every time!! Any how, the gals at the lounge were amazing! We weren't sure what to expect from our tans, but let me tell you we were so incredibly happy!!! 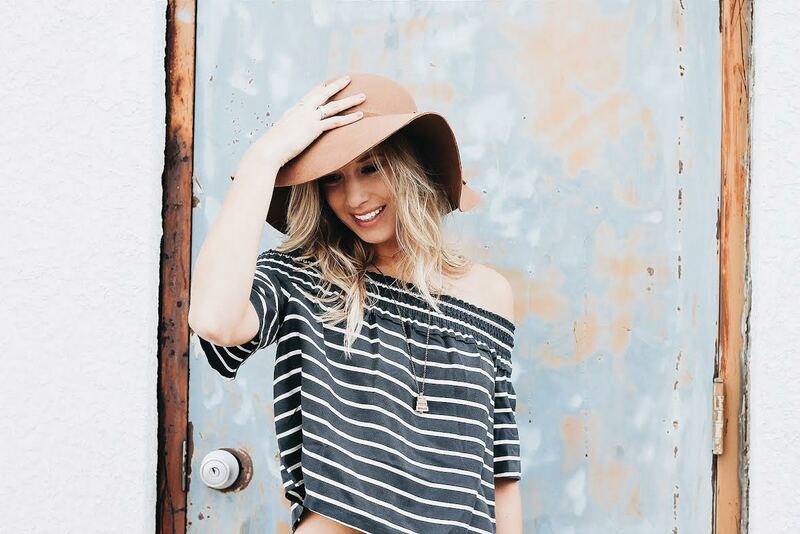 We are officially addicted to airbrush tans!! It is so much easier to have someone spray you inside of worrying about not getting it on evenly and in all the right places. It is hard to believe we have gone this long with out doing this!!! Highly recommend it, hands down, totally worth it! Shower and exfoliate before your appointment. Clean, dry skin is best! Shave or wax 1-2 days prior to your appointment. The day of your appointment you should refrain from using moisturizers, perfumes, lotions, oils, or deodorants that may create a barrier between your skin and the tanning solution. (You may resume using these after your first shower or bath) You will need to stay dry for 10-12 hours after your tan. All spa treatments, hair appointments and workouts should be done before the tanning appointment or the next day. 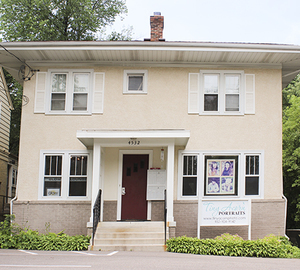 Mani/pedis should be done before the tanning appointment as we do not recommend exfoliating once the tan is applied. The attire for women is whatever they are comfortable with. To help minimize tan lines and protect client's undergarments; disposable underwear can be worn and is provided. The attire for men is boxers, briefs, swim trunks, or shorts. Stay Dry! Wait at least 10-12 hours before showering, bathing, or sweating. This includes your hands. Use hand sanitizer on just palms and fingers, but not on the top side of hands. Use natural/organic face and body lotion. Recommended to moisturize daily, morning and evening if possible. If you must shave, use a fresh razor and use a light touch. If you plan on sleeping while the tan is developing, wear loose fitting, long sleeve and long pant, it keeps it from getting on your sheets. Any skin products containing Mineral Oil, Petroleum, Petromlatum as well as Dove brand soaps and lotions. These products will ruin your Glow. Overexposure to highly chlorinated water such as pools or hot tubs, for extended periods. Waxing. This will peel the tan right off your skin. Loofas, Clarisonic brushes, or anything abrasive. Treat your skin gently to lengthen the life of the tan. No touching! To avoid the tan transferring on to your palms, it's best not to touch your skin before your first shower. We know you all will love the Glow Lounge as much as we do!! 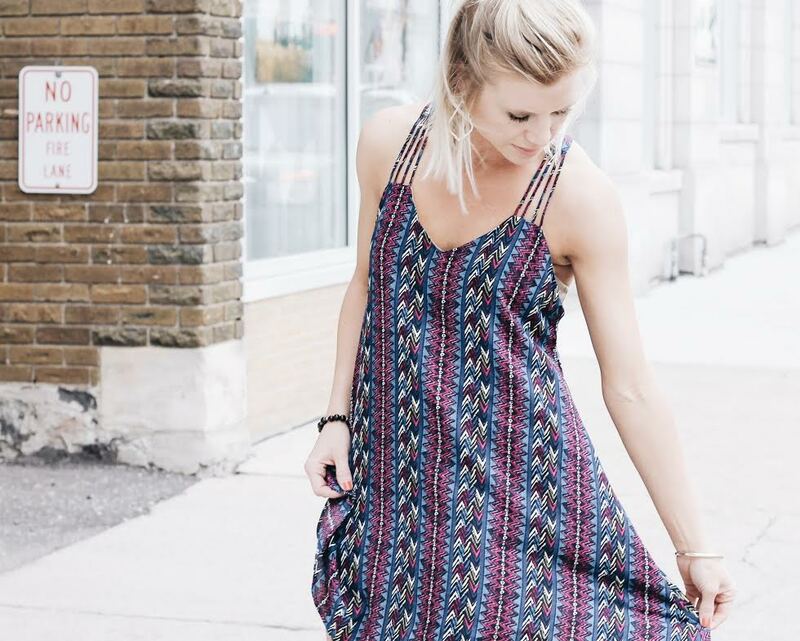 We are on the boho train with these adorable dresses from Kindred People! To be honest you generally will not catch us in dresses very often, but when we do they have to be light and comfortable. These are the perfect match! 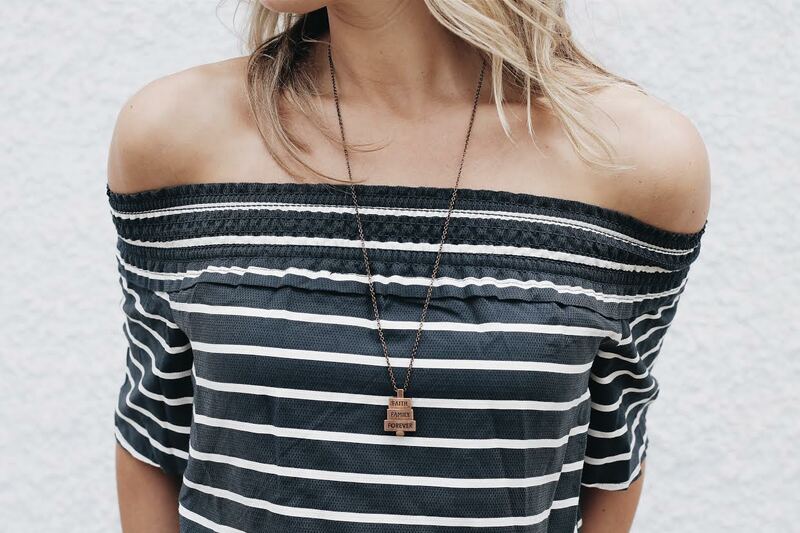 Worn as an everyday dress or as a swimsuit cover up, either way you will want to wear them all the time!! We are excited to be sharing with you our dear friends company, 212 West, with you on the blog today! 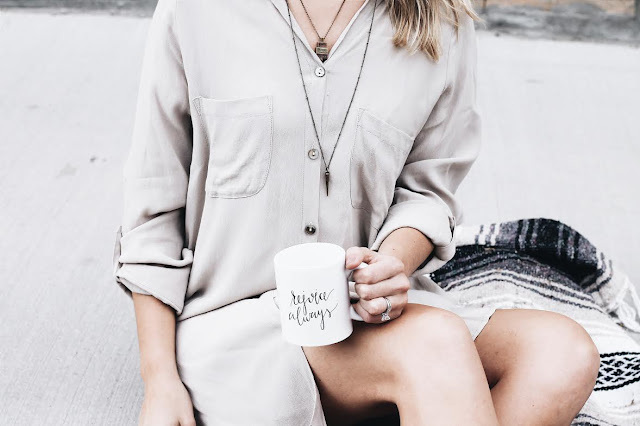 This company started out as a vision of a young girl who was looking for a way to express herself through accessories, and it has turned into something truly incredible! 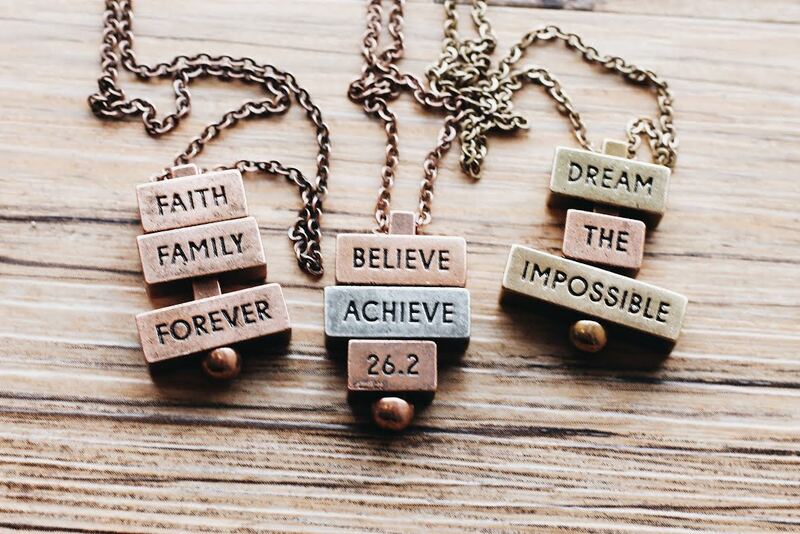 These necklaces allow people to share their hopes, dreams, and inspirations daily. 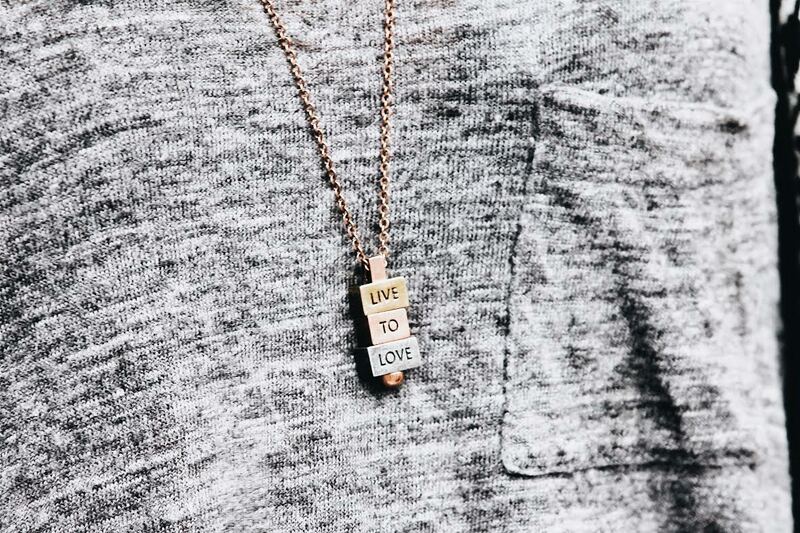 Not only do we love the unique and trendy style of these necklaces, but we love that they also serve a purpose. 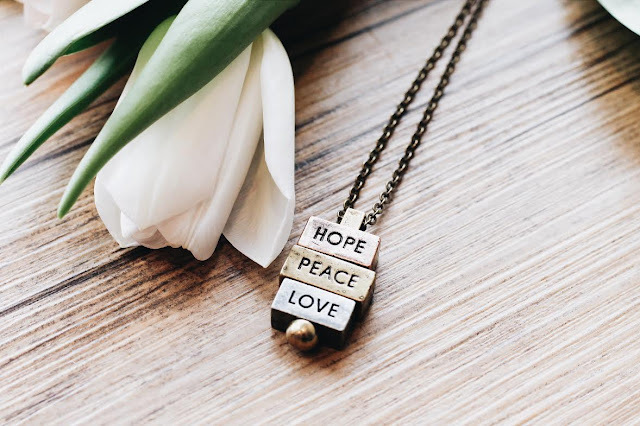 Each time a 212 west necklace that includes the words America, Troops or Veterans is purchased, $5 will be donated to Operation Freedom, a program of Freedom Service Dogs of America. 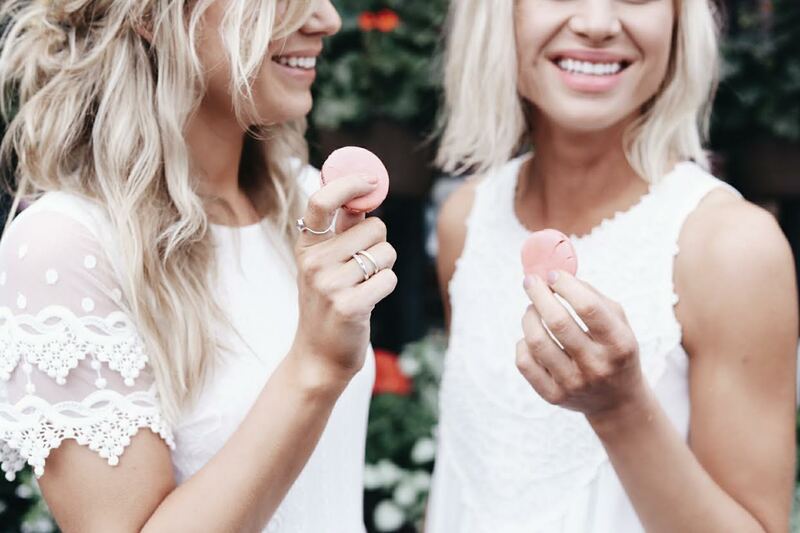 Pat and Claire are devoted to finding a stylish way for people to share a part of themselves and their journey. 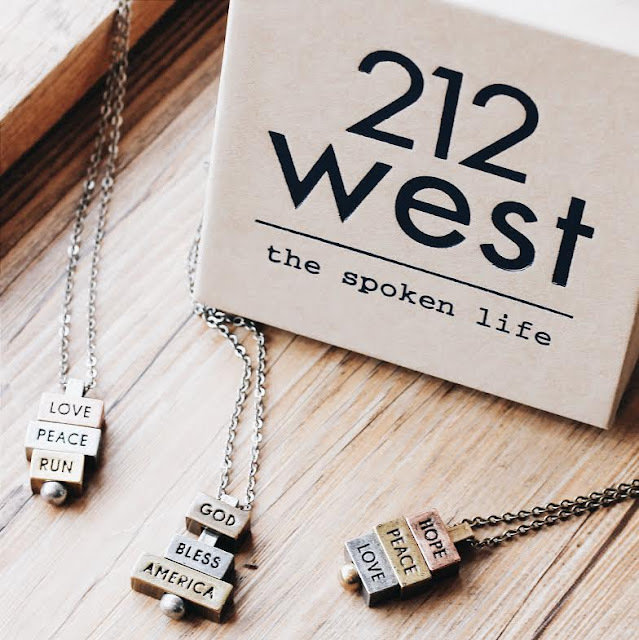 As your life moves from one adventure to another, 212 West is a style that moves with you....The Spoken Life. 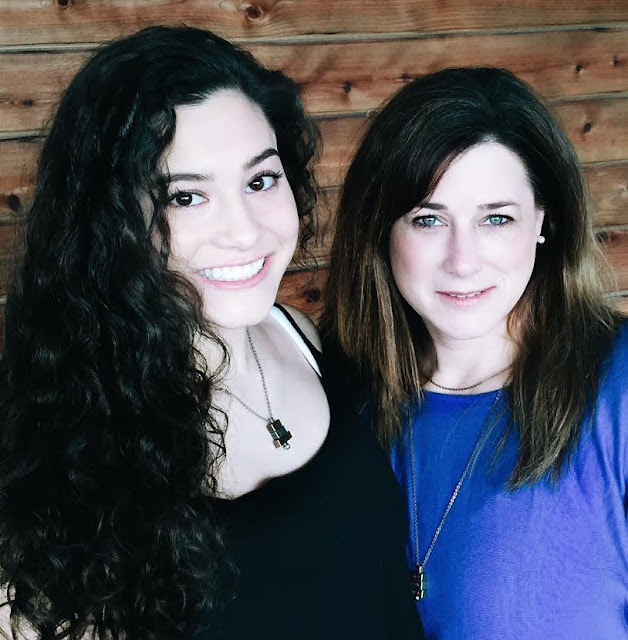 My daughter, Claire, has always been ambitious about wanting to own her own business. Since she was little she would come up with ideas such as starting dog walking company or becoming the neighborhood photographer. 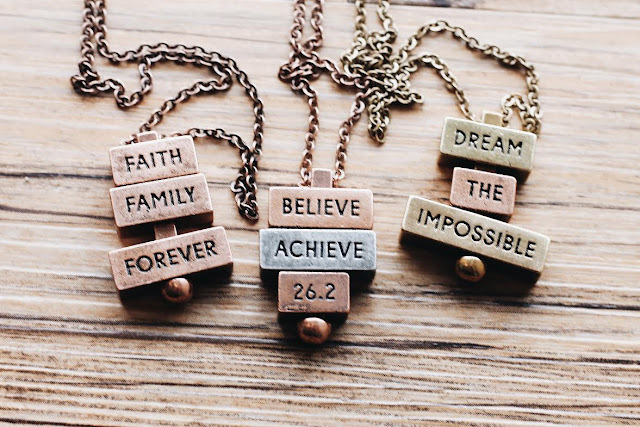 When she was 13, Claire, came to my husband and I about an idea for a necklace. She wanted to design something that allowed people to speak for themselves or share a piece of who they are. After spending months working on a prototype we found a manufacture who was able to produce it. The experience Claire has had at this age to work on product and website design and now marketing of the business has been valuable learning experience that will hopefully be helpful to her in the "real world" when she is older. Hi, my is Claire Lancaster. I’m 15 years old and a freshman in high school. I’m here today to talk about an idea I had a few years back that was made into a reality by my wonderful Mom. Let me start out by talking about why this is so important to me. In elementary school, we had uniforms. Even at the young age of 8, I never liked being dressed the same as everyone else. Like clones, we all wore the same navy blue collared shirts, plaid skirts, and white sweaters. Nothing about that getup told the world anything about who I was as a person or what I loved to do. I haven’t spent my days at school in plaid skirts for a while, but I’ve still struggled with finding style that relates closely to my life experience. Instead of clothes, I turned to jewelry. Sure, charm bracelets were an option, but tiny dangling figures from a chain around my wrist still did not suit me. That’s when I decided to reinvent the charm bracelet into a classy necklace that gives you the ability to speak for yourself, without even opening your mouth. 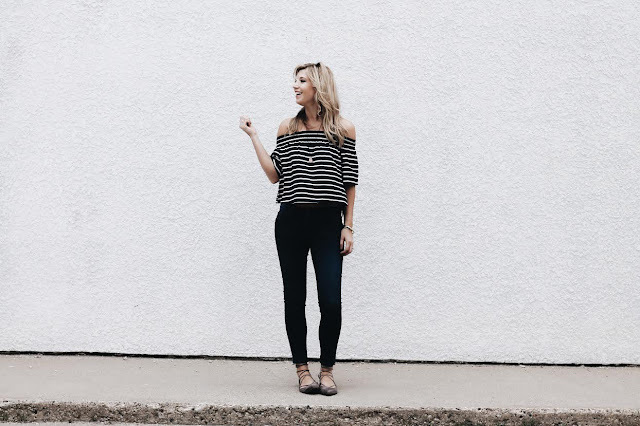 This is by far one of my favorite outfits for spring! I love wearing stripes, some people don't, but I do! 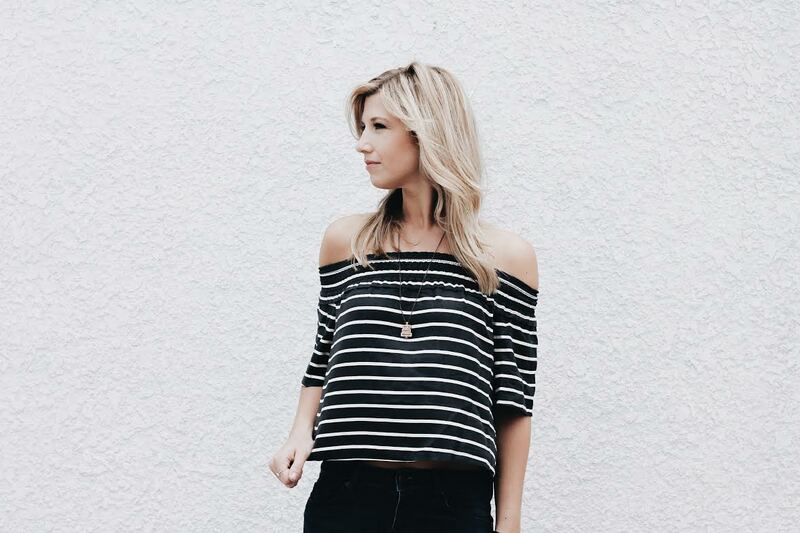 This off the shoulder top from Topshop is perfect! 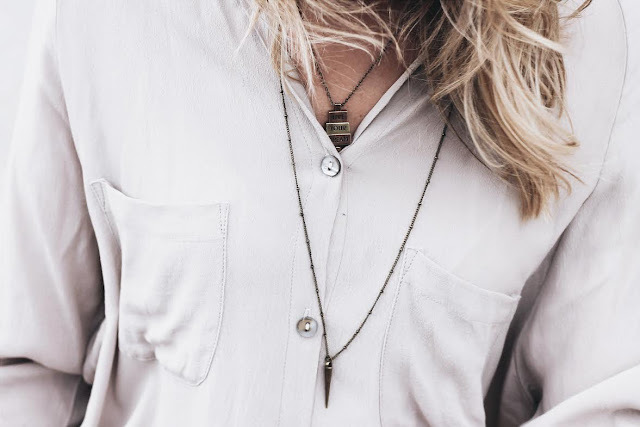 It is more of a cropped style so if you didn't want to show your stomach, you might want to pair it with a pair of high waist jeans or shorts. My lace-up flats from Steven Madden I L-O-V-E! They are extremely comfortable and the color (taupe) is super versatile. 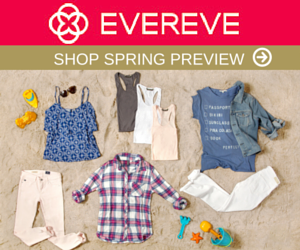 To shop these items click on the photos and links below. Happy shopping!! "Simplicity is the keynote of all true elegance"